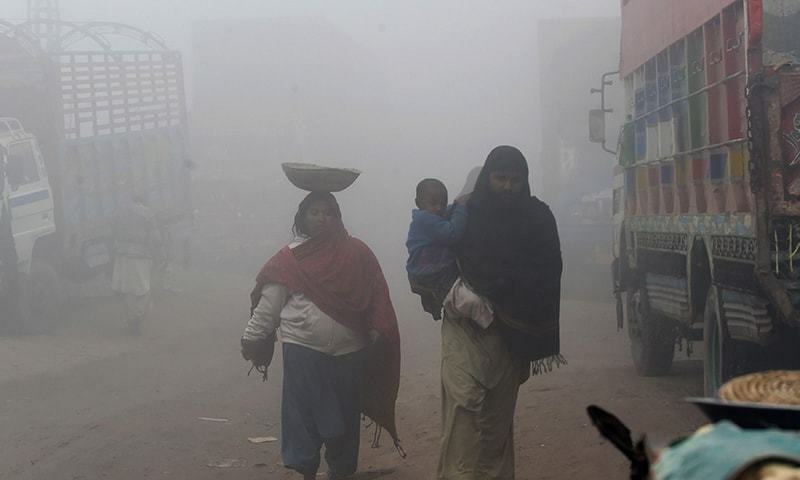 However, it warns "the loss of life expectancy is not borne equally," with children in South Asia set to have their lives cut short by 30 months because of a combination of outdoor air pollution and dirty indoor air. In East Asia, the study says air pollution will shorten children's lives by an estimated 23 months — compared with around 20 weeks for children in developed parts of Asia Pacific and North America. 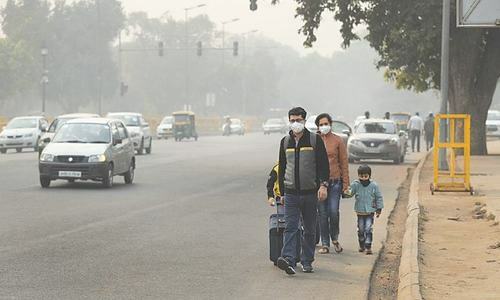 Nearly half of the world's population is exposed to household air pollution — including an estimated 846 million people in India and 452 million in China. A study last October from the World Health Organisation found that exposure to toxic air both indoors and out kills some 600,000 children under the age of 15 each year. Data from the UN health body said that every day, 93 per cent of children under the age of 15 breath dangerously polluted air. Children in Pakistan's big cities hardest hit by air pollution. Must close all old transport motor cycles rickshaws and industries to save pollution . Allow only bicycles and healthy industries. Lahore is really bad in this regard. I started wearing a mask when passing through really congested places. Horrible. I wonder what diseases this pollution is fostering in our kids and elderly. 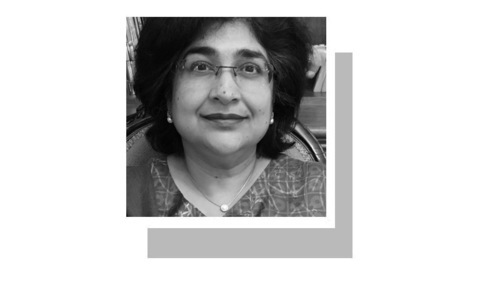 What is the positive aspect of pollution in Pakistan? Even though not a good sign, But interesting to see India, Pakistan,Bangladesh and China on the same list. Cement plants are given free hand to pollute. They should be regulated strictly. A very alarming report. Although most urban areas use gas for cooking and heating, still a majority of people of Pakistan remain susceptible to unhealthy & life threatening environment created due to in-house burning of coal, wood, dried cow dung for cooking & heating purposes. 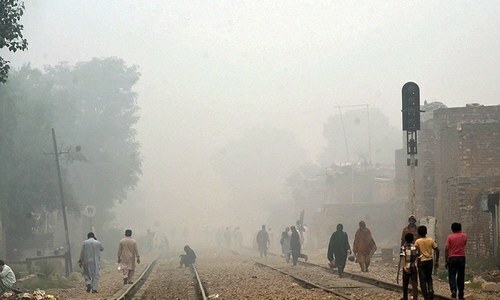 In addition, various studies have shown that the people of Pakistan are also exposed to air pollution emitted from millions of vehicles plying on roads, coalfired powerplants/ cement plants/brick kilns & open burning of agricultural wastes, contributing CO2, NO2 & SO2 to the atmosphere, causing chronic diseases of cardiovascular or respiratory system, decreasing life expectancy by an average of 8.6 years. These combined emissions of NO2 & SO2, reacting with Ozone in the atmosphere to form secondary particulate matter and eventually forms smog- an increasingly dangerous health hazard situation developing in big cities of Punjab & elsewhere. We need urgent enforcement of emission stds. per Environmetal Act 1997. Air pollution is one of the escalating concerns of the modern world, that demands a quick solution ever since. @M. Emad, Bangladesh suffers from floods, cyclones, storm surge, river bank erosion etc. Cyclones and floods cause massive damages on annual basis. Cyclone occurred in 1991 alone killed almost half a million Bangladeshis. Where is Pak-EPA (Environmental protection)? Or does it exist on paper only? @M. Emad, But less than in Bangladesh. At least we at top of something. @Gordon D. Walker, It is matter of vision and leadership only. Resources is the secondary issue. Corruption is the main cause of every problem country is facing now; domino effect !! All India's fault. They are sending the smoke towards us to cause this pollution. We should take it to ICJ. What pollution? There is NO pollution in Bani Gala. @Gordon D. Walker, Resources are NOT lacking, but planning is. The message is that the destiny of India, Pakistan and Bangladesh are tied together. Is it air pollution or some other cause? The air pollution comes from Indian power plants. I can't imagine situation after all coal fired power plants become operations and after China pushing its polluting Indisutries to Paksistan.